As with all other Nations, Greece has hers own creative people. Some of them, which I admire, I would like to honor with this article. Tassos (Efstathios) Nikolaou Papadopoulos (Greek: Τάσσος (Ευστάθιος) Νικολάου Παπαδόπουλος; 7 January 1934 – 12 December 2008) was a Cypriot politician who served as the fifth President of the Republic of Cyprus from February 28, 2003 to February 28, 2008. His parents were Nicolas and Aggeliki from Assia. He was the first of three children. Papadopoulos attended the Ayios Kassianos and Elenio primary schools in Nicosia and then the Pancyprian Gymnasium. His father's circle which included lawyers and judges, were influential on his future career and he went on to study law at King's College London before becoming a barrister-at-law through Gray's Inn. His life in London would prove to be pivotal in his future political life. In the second year of his studies he lived with future politician Spyros Kyprianou and Lellos Demetriades (lawyer and future mayor of Nicosia) both of whom had started their political life by founding EFEKA (short for National Student Union of Cypriots in England). Christodoulos (17 January 1939 – 28 January 2008) (Greek: Χριστόδουλος, born Christos Paraskevaidis, Χρήστος Παρασκευαΐδης) was Archbishop of Athens and All Greece and as such the primate of the Autocephalous Orthodox Church of Greece, from 1998 until his death, in 2008. Christodoulos was born in Xanthi, Thrace, Northern Greece in 1939. His civil name was Christos Paraskevaidis. When he was two years old, his family moved to Athens to escape German and Bulgarian occupation of the area during World War II. His father subsequently returned to Xanthi following the war and ran a successful bid for mayor. Christodoulos attended high school at the Roman Catholic Marist Leonteion Lyceum of Athens. He then studied law at the University of Athens, graduating in 1962, after having been ordained a deacon in the Orthodox Church in 1961. He also attended a graduate school at the University of Athens for a degree in theology. Christodoulos was ordained a priest in 1965 and graduated from the School of Theology in 1967. He worked as a parish priest in Palaio Faliro, a suburb of Athens, between 1965 and 1974. During that time he also became Chief Secretary of the Holy Synod of the Church of Greece. In 1974, he was elected bishop of Demetrias in Volos, Thessaly, a post which he held until his election as Archbishop of Athens in 1998. Christodoulos was a Doctor of Theology, had a degree in French and English, and also spoke Italian and German. He was the author of a number of theological books and received Honorary Doctorates from the University of Craiova and the University of Iasi. Due to Christodoulos' attending a Catholic high school, he felt open to dialogue between the Orthodox and Catholic churches having experienced both sides. Η Μαλβίνα Κάραλη (πραγματικό όνομα Μαρία-Ελένη Σακκά), 3 Φεβρουαρίου 1952 - 7 Ιουνίου 2002) ήταν Ελληνίδα συγγραφέας, σεναριογράφος, δημοσιογράφος και παρουσιάστρια στην τηλεόραση. Γεννήθηκε στον Πειραιά και καταγόταν από τα Ψαρά και τη Θράκη. Giannos Kranidiotis (Greek Γιάννος Κρανιδιώτης) (born September 25, 1947, Nicosia, Cyprus; died on September 14, 1999, Bucharest, Romania) was a Greek diplomat and politician. Son of the Cypriot diplomat, poet, and writer Nikos Kranidiotis, he studied law at the University of Athens and continued with postgraduate studies in international relations at Harvard and Sussex University. Member of the Panhellenic Socialist Party (PASOK) from 1976, he was an advisor on the Cyprus dispute to prime minister Andreas Papandreou from 1981 to 1984. He held a number of important posts at the Greek Ministry of Foreign Affairs: secretary of European affairs (1984–1989), deputy foreign minister (July 8, 1994–January 1995 and from February 3, 1997), and alternate foreign minister (February 19, 1999 until his death). 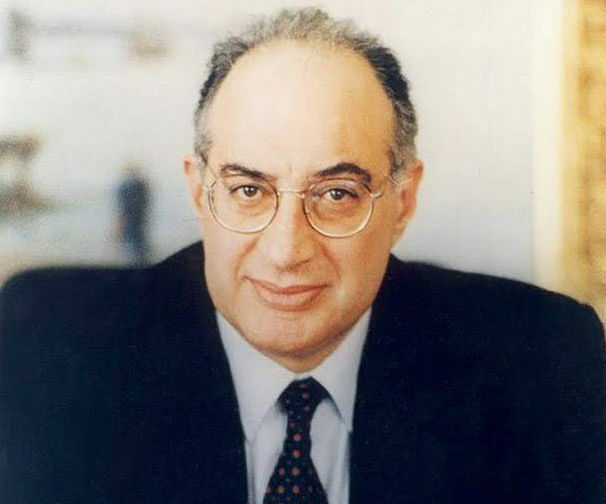 Kranidiotis also served as a Member of the European Parliament (1995–1997) and was elected a member of PASOK's Central Committee in March 1999. He held an honorary doctorate in international relations from the Democritus University of Thrace. Antonis Tritsis (Greek: Αντώνης Τρίτσης; 1937 – 7 April 1992) was a Greek politician and urban planner, born and raised in the town of Argostoli on the island of Cefalonia. A founding member of the Panhellenic Socialist Movement (PASOK), he was elected MP in the Greek Parliament with PASOK in 1981 and 1985 and served as Minister of Urban Planning, and Minister for National Education and Religious Affairs. In 1989 he established the short-lived Greek Radical Movement, and in 1990, in a political shift, he was elected mayor of Athens with support from the New Democracy party. Assuming office, he appeared voluble as to his pet projects of bold planting of trees throughout Athens to restrain excessive construction and air pollution in the city, along with those of the unification of the archaeological sites in Athens' historical centre and the re-introduction of the tram railway. Grigoris Lambrakis (Greek: Γρηγόρης Λαμπράκης) (April 3, 1912 – May 27, 1963) was a Greek politician, physician, track and field athlete, and member of the faculty of the School of Medicine at the University of Athens. Menis Koumandareas (Greek: Μένης Κουμανταρέας; 4 January 1931 – 6 December 2014) was an acclaimed Greek writer. He attended classes in the Philosophy and Law schools of the University of Athens, as well as in a drama school, but he did not complete his studies in any of these fields. Instead, he worked for a while as a journalist, and then as a clerk in seafaring and insurance companies. Since 1961, he has been active as a writer and a translator. His texts have been published in many Greek literary periodicals. He has been awarded the State Prize for Short Story (twice, 1967 and 1997) and for Novel (twice, 1975 and 2002). He used to be a member of the Board of Directors for the Greek National Opera from 1982 to 1986. Note: the photos were found here, here, here, here, here, here, here, here and here.